The only free-flowing stretch of the Columbia River — that is, not affected by dam operations — is in British Columbia, from the headwaters at Columbia Lake to Donald at the head of Kinbasket Reservoir behind Mica Dam, a distance of 112 miles (180 kilometers). This stretch, known as the Columbia Wetlands, comprises 68,575 acres (27,430 hectares) of land, open water (30 percent of the total, including the two headwaters lakes, Columbia and Windermere), marsh (35 percent), ponds and channels. 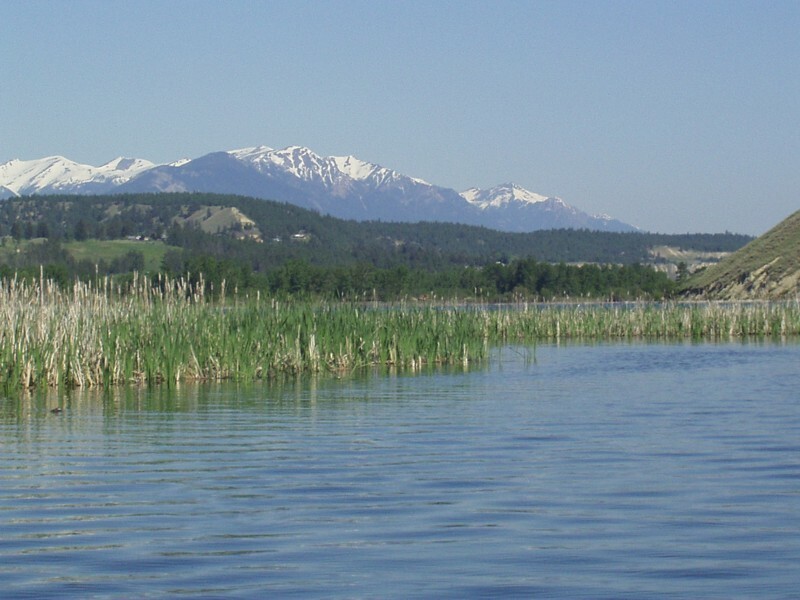 The Columbia wetlands are internationally recognized for the diversity of the aquatic and streamside (riparian) habitat, the variety of wildlife and, because of the location in the Rocky Mountain Trench, the important resting and breeding habitat for migrating and resident species of birds along the Pacific flyway. 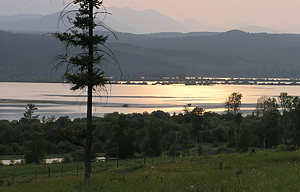 The Columbia River flows north from Columbia and Windermere lakes along the trench and is paralleled most of the way by Highway 93/95. To the west are the Purcell and Selkirk mountains, remnants of ancient volcanoes, and to the east are the younger Rockies. Both ranges include peaks above 9,800 feet (3,000 meters). The river’s descent through the wetlands is gradual. Between Columbia Lake, at 2,656 feet (810 meters) above sea level, the river drops only 213 feet (65 meters) to Donald. Within the Columbia Wetlands area, the river channel meanders from one side of the valley to the other as it turns around the alluvial fans of 80 tributary streams. These streams deposit an estimated 6,000 tons of silt per square kilometer annually, helping to filter water and keep its quality high. This was a challenge for early steamboat traffic on the upper Columbia. The provincial government dredged the channel for large boat traffic until 1915. The Columbia wetlands are home to the second-largest colony of Great Blue Herons in western Canada, estimated at more than 300 pairs. In the fall, more than 15,000 waterfowl have been counted in a single day migrating through the wetlands, and in the spring more 1,000 tundra swans on a single day. Coots, geese, ducks, bald eagles, and osprey also have been recorded in significant numbers in the wetlands. The wetlands also provide important winter range for elk, moose, deer, and a variety of other wildlife. 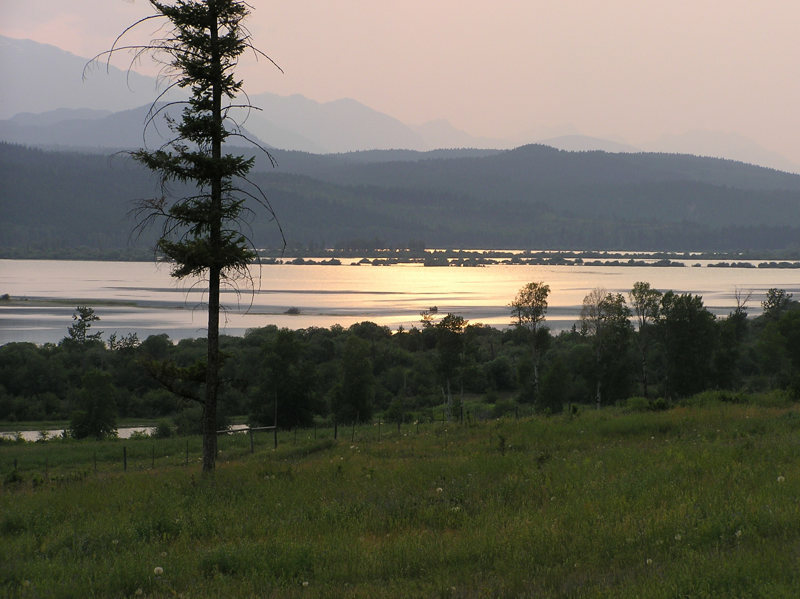 The annual cycle of spring flooding, and the relatively cool climate and short growing season, discouraged widespread agriculture, land development and diking in the area, and so the population remains sparse outside of Golden, Invermere, and a few other small communities. While much of the acreage in the wetlands is privately owned, the entire area is designated by the province as a Wildlife Management Area. The Columbia Wetlands near Golden, B.C. Photo: Kindy Gosal, Golden.